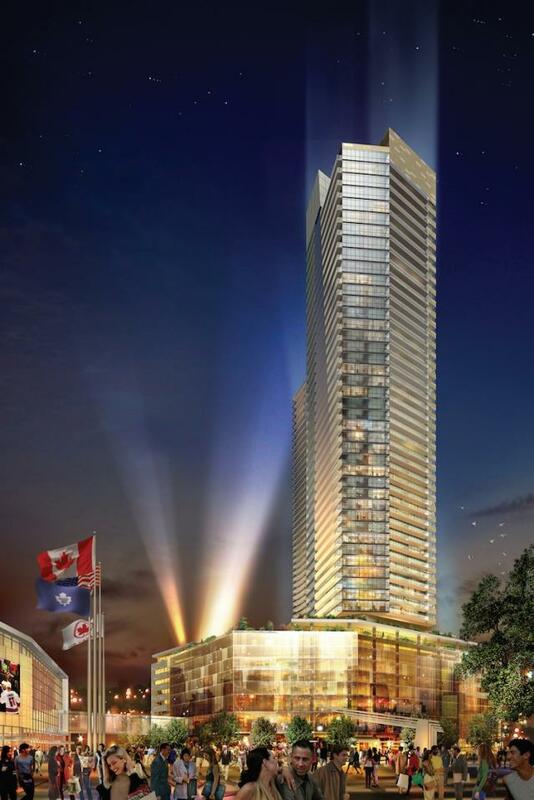 Together with partners Maple Leaf Sports and Entertainment and Cadillac Fairview, Lanterra serves as lead developer of this 1,250,000 square foot complex containing 2 residential towers, 44 and 40 storeys respectively, on top of a 10-storey commercial podium, which features the 170 room Le Germain Hotel, 200,000 square feet of office space and over 100,000 square feet of retail including a 40,000 square foot Longo’s Supermarket and the cutting edge Real Sports Bar and Grill operated by Maple Sports and Entertainment. The complex reflects the combined architectural skills of internationally renowned KPMB and Page + Steele and boasts pioneering Smart Building technology and cutting edge environmental features. Maple Leaf Square won the 2006 Community of the Year award from the Greater Toronto Homebuilder’s Association.